Wisconsin Bankruptcy Attorneys - Crooks, Low & Connell, S.C. If you are considering filing for bankruptcy, it is important to carefully assess your situation, and make sure that you fully understand the consequences (both good and bad) that filing for bankruptcy can have on your life. At Crooks, Low & Connell, S.C., our bankruptcy lawyers can help you evaluate your options and make an informed decision about whether to file. This article provides some basic information about filing for bankruptcy in Wisconsin, but is not a substitute for speaking with an attorney about your personal circumstances. 1. Do You Qualify to File for Bankruptcy? One of the first questions that you need to ask is whether you qualify to file for bankruptcy. 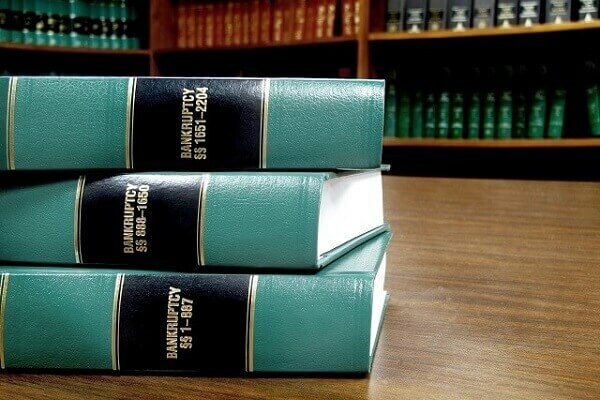 Chapter 7 and Chapter 13 (the two chapters most commonly used for personal bankruptcies) both have restrictions that limit who is eligible to file. 2. Are Your Debts Eligible to Be Discharged? You also need to have a clear understanding of your debts. Some debts are not eligible to be discharged, which means that filing for bankruptcy may not do you any good. Some Back taxes, child support, and student loans are among the debts that generally are not eligible to be discharged in bankruptcy. 3. Are You Facing Repossession or Foreclosure? If your lenders are threatening repossession or foreclosure, filing for bankruptcy may help you keep your property – at least in the short term. Filing for bankruptcy automatically stays (postpones) the repossession and foreclosure processes, and gives you options for protecting your cars and your home. 4. Are Your Other Creditors Attempting to Collect from You? If you have been receiving collection letters from your other creditors (such as credit card companies), filing for bankruptcy may help you avoid a judgment, as well. 5. Do You Have Cosigners Who Will Become Responsible for Your Debts? On the other hand, if you file for bankruptcy, your filing could have negative consequences for your cosigners. While your bankruptcy discharges your debts, it does not discharge the debts of others. In fact, the threat of bankruptcy is one of the main reasons why your lender required you to get a cosigner in the first place. 6. Will Bankruptcy Really Help You? Even if you qualify and have eligible debts, there is still a question of whether it makes sense to declare bankruptcy. If you do not have any equity in your home (or if you rent), if all of your assets are “non-exempt,” and if your wages are fairly low or your income is exempt from judgment creditors (for example, if you are on Social Security disability), then it may not be worthwhile to file. 7. Are You Prepared for the Consequences? Finally, it is important to consider the practical implications, as well. Your bankruptcy will generally be public record; you may lose some of your property; and, if you file under Chapter 13, you could have to deal with strict limits on how you spend your money for the next three to five years. These factors won’t necessarily be determinative of whether you should file, but they are certainly worth considering, as you evaluate the overall costs and benefits of bankruptcy. Speak with a Wausau, WI Bankruptcy Lawyer at Crooks, Low & Connell, S.C.
For more information about filing for bankruptcy, contact Crooks, Low & Connell, S.C. to schedule a confidential consultation. Call our Wausau, WI law offices at (715) 842-2291 or contact us online to speak with an experienced attorney today.